Hello Everyone! Long time, no speak. It's been a long time but I think I have a good excuse. I've been finishing off university and just couldn't balance my blog, my life and my education. I had to prioritize my education, but that has come to a end. I finished my 4 year university course last Friday and want to start blogging again because I did, and do, love it! I do want to start blogging with a fresh start though and that brings me to the sad fact that Some Sparkle and Shine is finished. This will be my last post here, but fear not. I have launched a new website. Cheerful Atoms is going to be a lifestyle, food, beauty, fashion and all round anything blog. 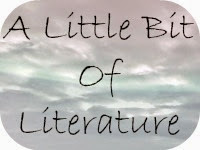 There are just a few posts over there at the moment but I hope to bring good quality content to that blog without the limitations I put on myself here. If you think you might be interested please go and give the site a glance HERE. I also have a new twitter @cheerfulatoms and a facebook page. Finally, to celebrate the launch of Cheerful Atoms, there is a giveaway over there. It's a £25 Giftcard of Your Choice and you can enter here. Thank you for all your support here on this blog and I hope it will continue over at Cheerful Atoms. Parfums, EDT and Aftershaves: What's The Difference? I'm a lover of perfumes. I have quite the collection, and always find myself at fragrance counters having a test of the latest offerings. Saying that, I really don't know that much about fragrances, and when some at one of the counters starting spouting a load of jargon at me I decided to educate myself a little, and I wanted to share my little bit of knowledge with you all today. I often wondered what the actual difference was between Eau De Parfums, Eau De Toilettes and Aftershaves actually is. I know some last longer than others but I had no idea why. Now, I do. The difference is dependent on the ratio of actual fragrance to water (or alcohol). The more fragrance in the solution, the strong it will be. This isn't really all that popular, but if you get something like this it will have about 15-25% fragrance oils in it. These are generally crazy expensive! Prices range from £79 - £125 for about 15ml. Diorissimo, £124.50 15ml link. Miss Dior Cherie, £79, 7.5ml link. Miss Dior, £125, 15ml link. This is amongst the three most popular types of fragrance. It contains between 8-15% fragrance. It is meant to last about 3-5 hours on the skin, and is the strongest of the most popular types. Jimmy Choo Flash EDP, from £36 link. Lacoste Eau De Lacoste Femme EDP, from £45 link. PureDKNY Rose EDP, from £50 link. From what I've seen, this is the most common type of fragrance. It's lighter than the EDP, and doesn't last as long it. It lasts about 2-4 hours on the skin, is generally cheaper than and EDP and has between 4-10% fragrance oils in it. This isn't all that popular but does exist. It has about 2-5% fragrance oils in it and is genrally cheaper than the EDP and EDT because it contains less fragrance. This is the cheapest of the bunch, and contains the least amount of fragrance, with only about 1-3% of the solution being scented oils. It lasts between 1-3 hours on the skin, and is generally considered good for the face.It lends itself to mens fragrance, who use it (strangely enough) after they shave because the alcohol in the solution closes/minimizes pores. An Aftershave balm is slightly different from a regular aftershave as it doesn't contain alcohol, and has moisturizing properties that sooth and calm skin. A few other things make the lasting power of a fragrance different for almost every single person. The pH of skin effects the lasting power, and everyone has a different acidity level to their skin meaning that everyone can wear a fragrance differently. It's said that in generally a fragrance will last longer on oily skin because it joins with the oils meaning the scents is released more slowly. So, the drier the skin, the shorter the time that the scent lasts on the skin. I wanted to include one last term with you all. Sillage is a French word that means in wake or trail. Itrefers to the scent that is left behind when a person moves. The idea is a matter of taste, because some people can prefer a fragrance to sit closer to the skin rather than to hang in the air. A good sillage in reference to a fragrance will mean that it hangs in the air after a person moves. 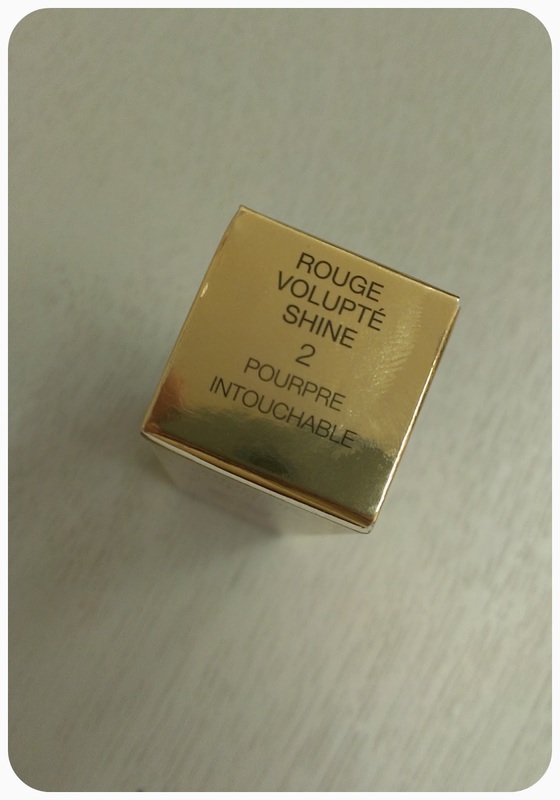 You may have seen me rave about the YSL Rouge Volupte Shine lipsticks in the past, and today the post is no difference. 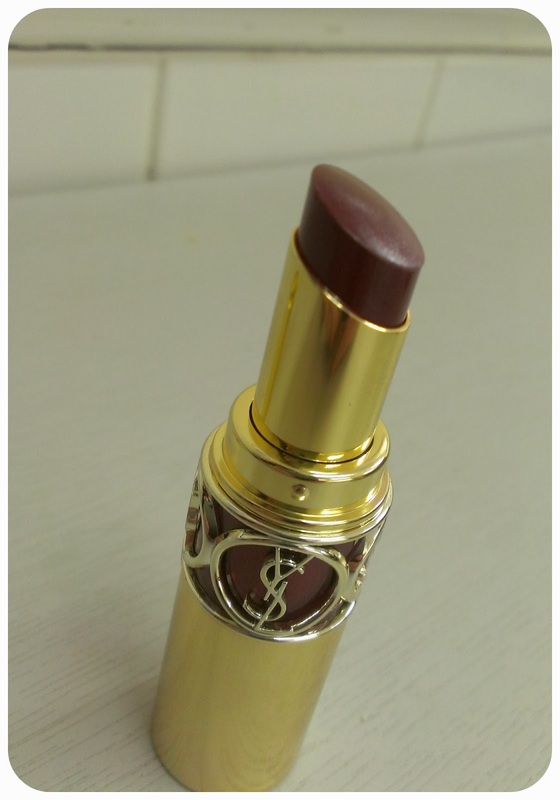 I love just about everything about the lipstick formula, the packaging and, in this case, the colour. Shade 2, or Pourpre Intouchable, is a beautiful glossy, slightly pink toned plum shade. It does have some shimmer running through it but it doesn't really translate as shimmer on the lips and you cannot feel it at all. 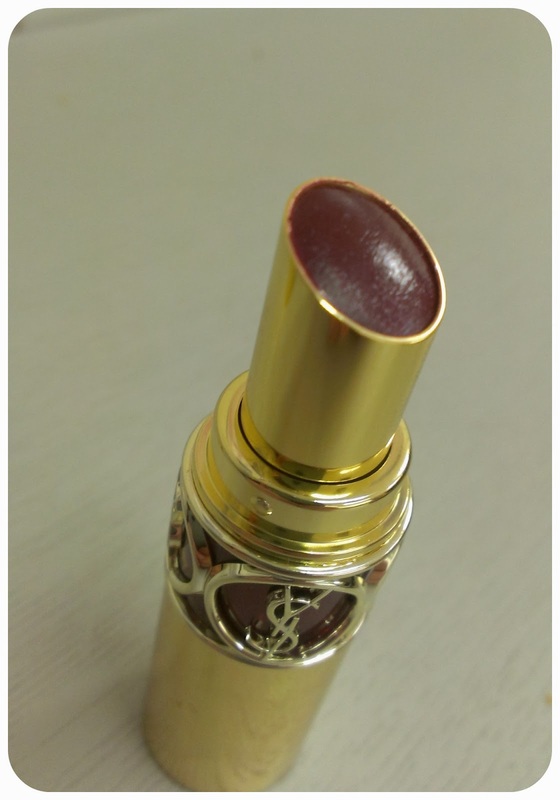 The lipstick glides onto the lips really smoothly, doesn't bleed and leaves a nice sheer-to-medium coverage of colour. They aren't drying, and while they don't last as long as something matte they do last decently considering they are a glossy finish product. The shape of the lipstick bullet might put some people off because it doesn't have the classic pointed shape but don't fret. The shape might be difficult to be precise with if the lipstick were matte, highly pigmented or meant to be long lasting/a stain but because of the glossy and somewhat sheet nature of this product the flat bullet shape actually makes the lipstick quick and easy to apply. I'll let the luxurious packaging speak for itself because, quite frankly, it doesn't need words. It's stunning, but it doesn't come without a hefty price tag. These lipsticks are at heartbreaking (or bank breaking) £25 a pop, so maybe save up to treat yourself if you fancy picking one up. 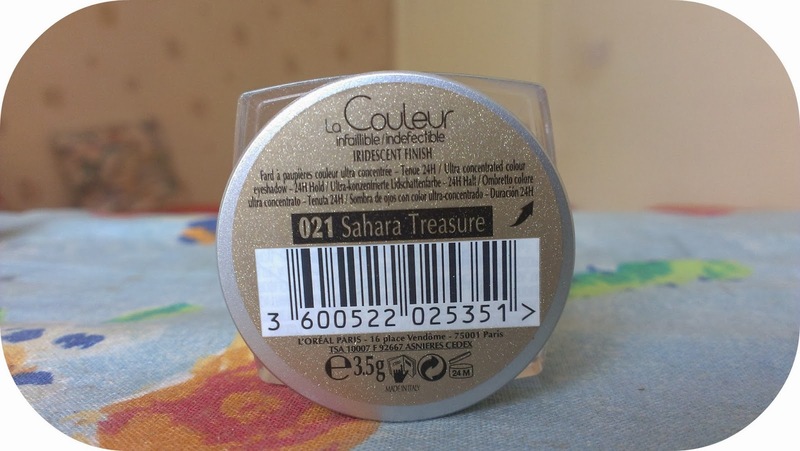 You can see my previous reviews here and here, and you can also pick up this shade or others for £25 here from Debenhams. 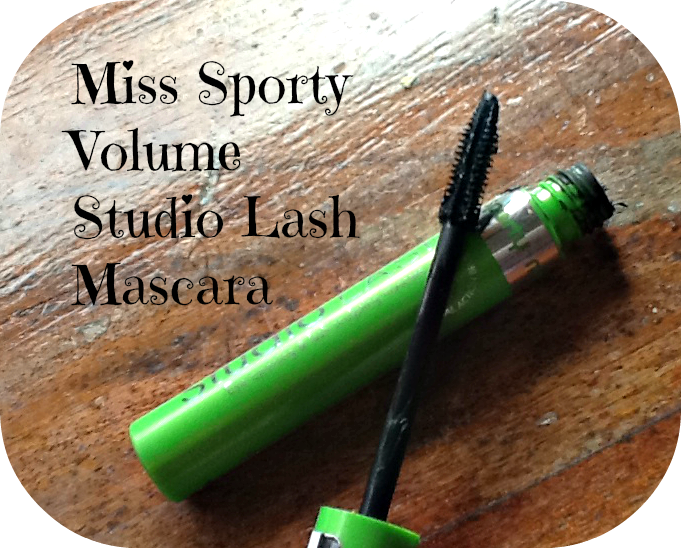 Top 5 Mascara Favourites: Lancome, Avon, Miss Sporty and MUA. Today I have a top 5 post for you, and it features all my favourite mascara. 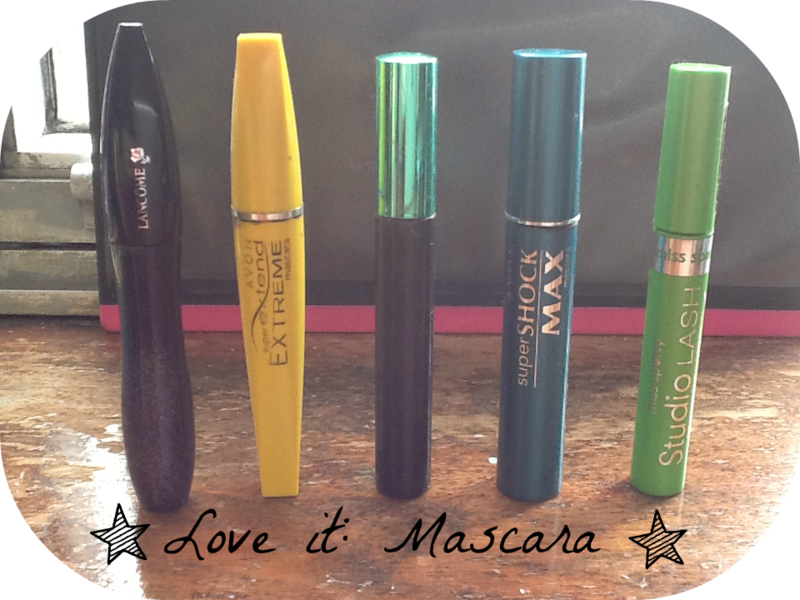 I'm going to do these posts every so often because my mascara loves are always changing because I'm a bit of a mascara floozy! Lancome Hypnose Star link, Avon Super Extend Extreme link, MUA every lash link, Avon Super Shock Max link, Miss Sporty Studio Lash link. 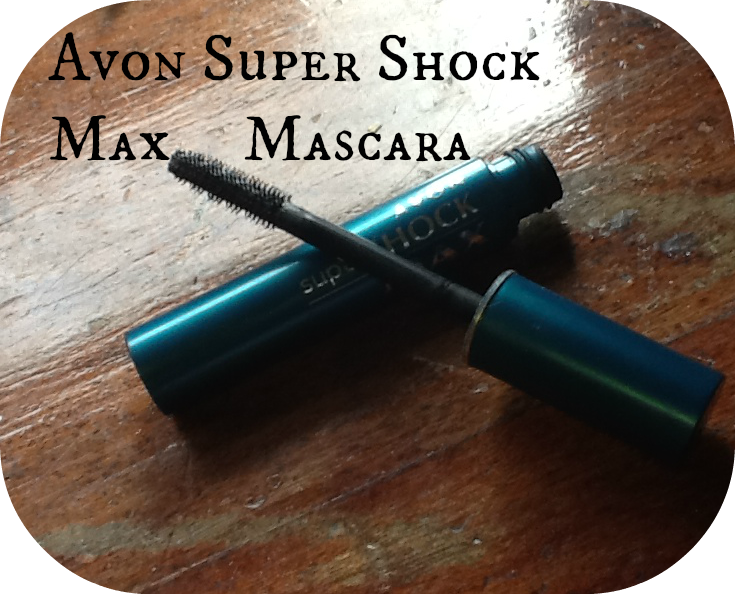 This is my number one mascara and would highly recommend it. It stands the test of time, it stays on through tears of laughter and it doesn’t smudge or flake throughout the day. 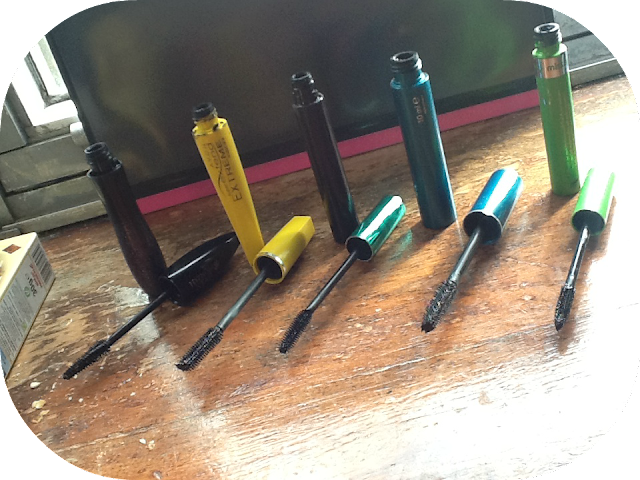 It curls, adds volume, lengthens and just makes your lashes look the bomb.com. I got this free in a magazine, and didn’t expect the world but it’s amazing. I have one tiny issue that stops it being my all-time favourite and it’s the size of the wand. When I think of a lengthening mascara, I don’t think of big fat wands and this isn’t thin in the slightest. 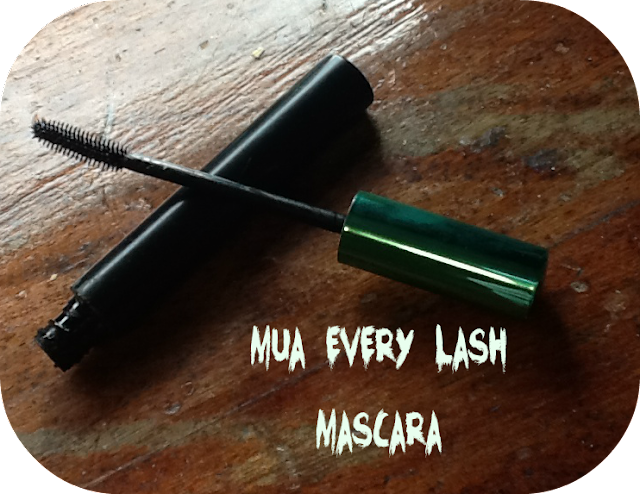 But it adds just enough volume to lift your lashes but adds gorgeous length to them. It also makes them super black which is brilliant for those of us with super blonde lashes. This is a dupe for Benefit They’re Real, but only about £3. It’s got a nice plastic wand with a ball on the end which helps separate lashes and get those pesky little lashes that you can’t get with the regular want. It curls nicely, and adds a little volume. 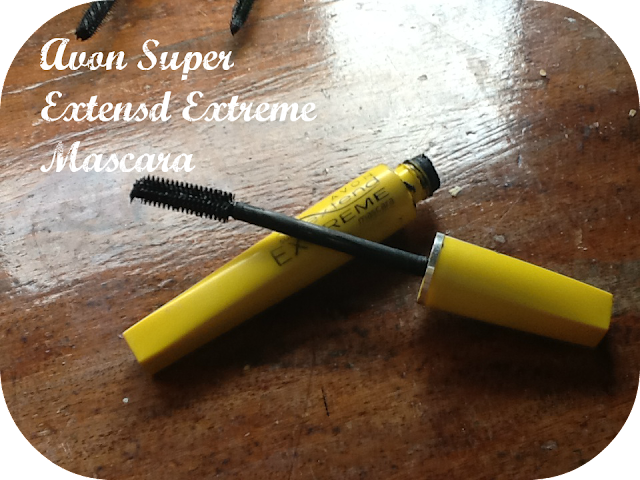 It coats the lashes super well, and lasts all day. Nothing gets this off, which is another reason it’s similar to They’re Real. 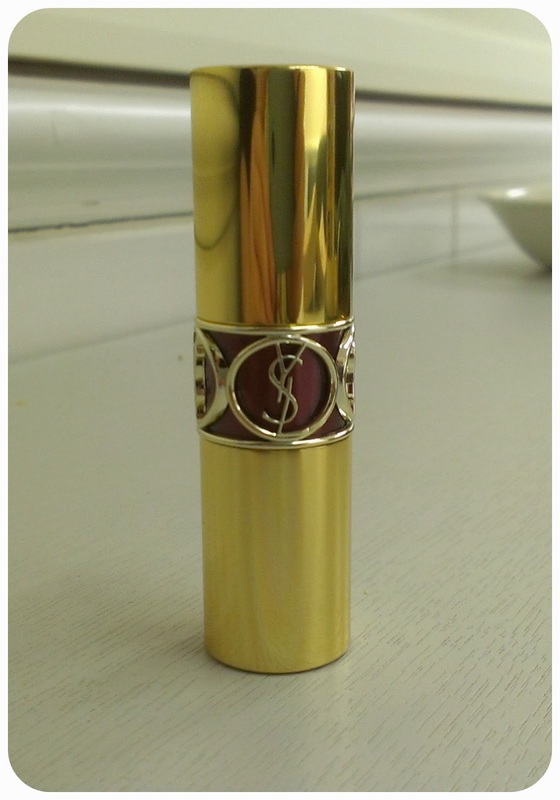 Unfortunatly, this is discontinued now which kills me because it was a killer mascara and a total bargain. I don’t know what I think this is similar to Max Factor False Lash Effect/Cover Girl Lash Blast because it’s not that similar but it adds volume and coats the lashes like nothing else. 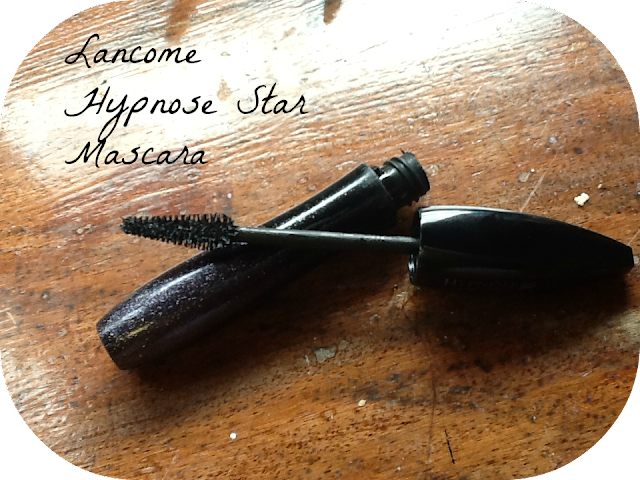 Little lashes are a little hard to get with the GIANT wand that you get but if you’re careful it’s a lovely effect on the lashes. This is my top cheap mascara. It’s £2.99 and worth every penny. I’d pay more for it to be totally honest. It has a nice sized want, with a tapered tip. 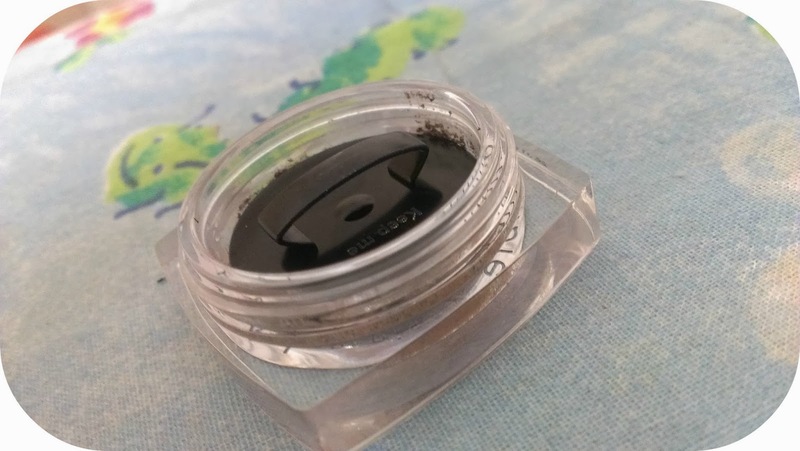 It’s so black it’s unreal, and it coats your lashes in one swipe. It gives your lashes some lift, and adds volume and lengthens them like nothing else. 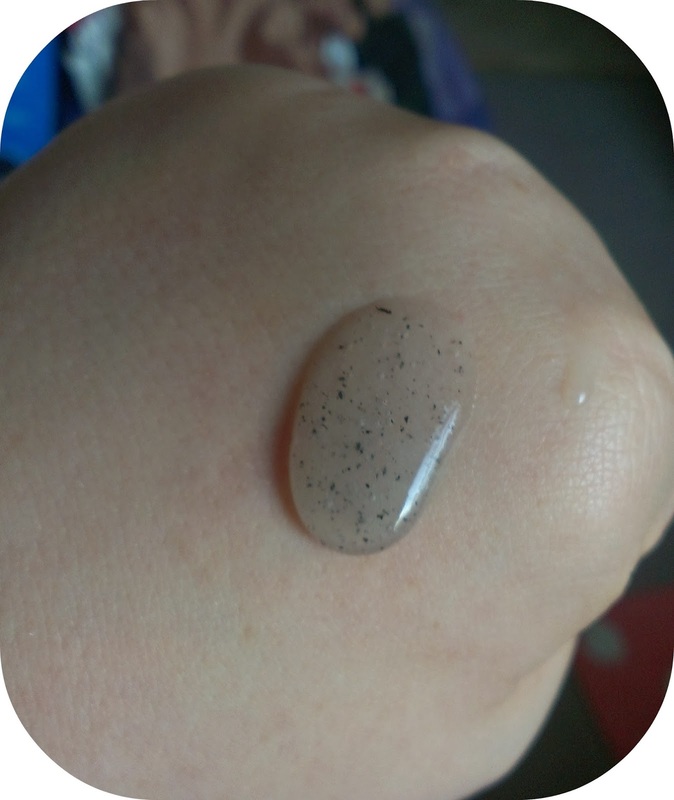 Today I have a review of the Purity Regenerating Overnight Moisturiser. 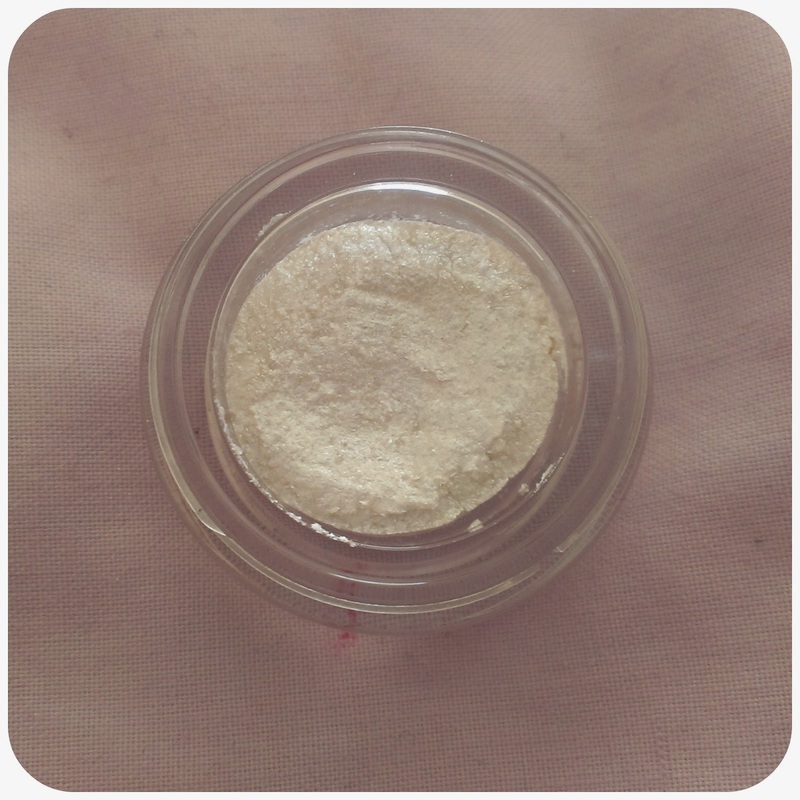 I both love and loath this product so prepare yourself for a mixed feeling ramble post. So, I’ve had this for a while, and have been using it on and off ever since I've received it but recently I've kept it in my routine a bit more consistently so I think I can form an opinion on it. The formula is a very thick, almost like the body butters from The Body Shop. I personally like that in a cream, especially at night, because I have very dry skin at time and I like using something intense at night to try and help that issue. I don't mind the thickness or the fact that it takes a little while to sink in because I'm using it at night don't need to be putting makeup on top of it. They can just take their time settling into your skin. It does contain some common skin care ingredients that make it great for my drier skin like Vitamin E. It also contains Ceramide 3 which is something used to reinforce the moisture barrier on the skin and it helps keep it protected from the environment. It also helps keep moisture levels balanced the following day. Now for the reasons I don't like this is the fact that you can feel it on the skin after using it. After it sinks in, you can almost feel a tackiness on the skin until you do your morning cleanse. I like that it works, and helps keep dry patches at bay, but sometimes I just want my skin to feel soft and not tacky after taking the grime of the day off. I would purchase this, but I think I will keep looking out for other night creams that work they way this does but don't leave the feeling on the skin after. Also, I don't like the natural/herbal scent that is has but it doesn't last long after you've used it so I can get over it. You can get it here for £7.99 if you fancy giving it a go. 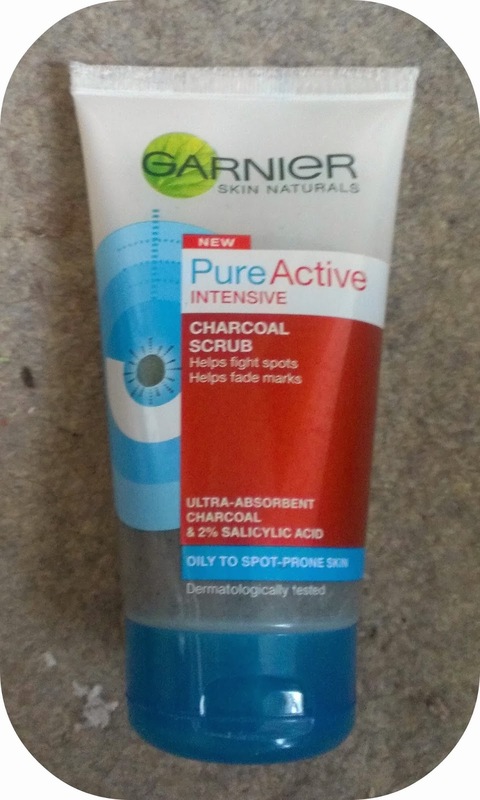 The Garnier Pure Active Intensive Charcoal Scrub is the product I should hate but actually like. It has the qualities of a skin care item that I know isn't great for my skin but it does feel like it's working when I use it. 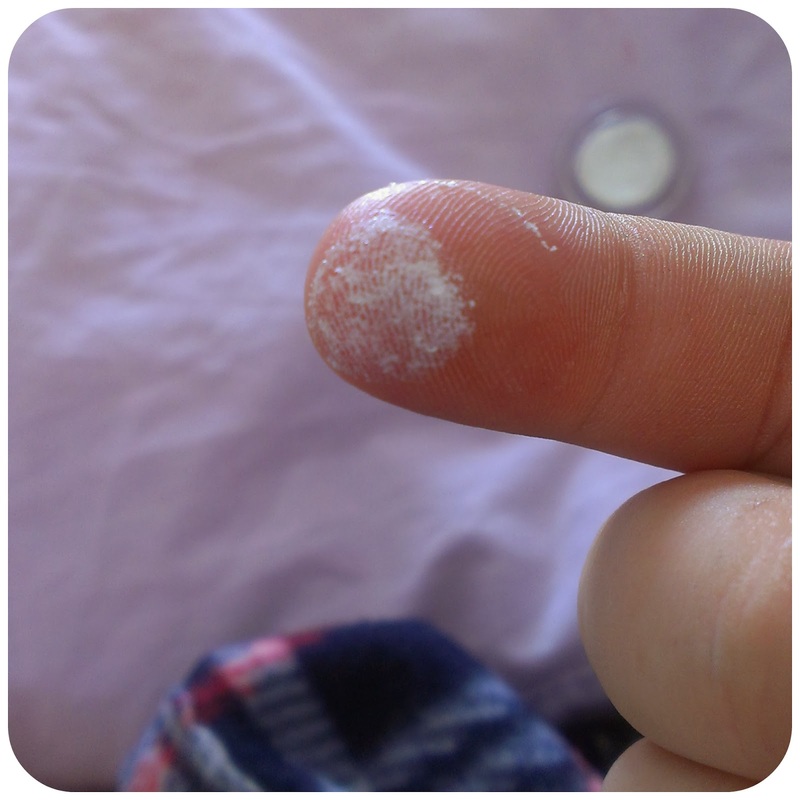 It helps keep any angry spots at bay and has been helping lessen the flaky skin I get on dry patches. It doesn't give the skin any moisture but I don't find it strips it to much either. The scrub isn't to abrasive which I like and it does leave my skin feeling clean and refreshed rather than raw like some scrubs can. It does, unfortunately, foam up on the skin which is the feature I hate most. I know that anything with foaming agents isn't the best for skin, but this one luckily (because of how much I love it) doesn't strip my skin too much or dry it out after using. The consistency is quite runny for a scrub like this, but it doesn't make any difference (for me) as to how it applies and works. I don't enjoy the scent of the product, but when something is made for fighting spots and scaring left from acne I don't expect to find it beautifully fragranced because that can cause people to break out even more. Overall, I like this scrub. I don't think I would repurchase because I know it's probably not actually very good for my skin in the long run but if you know any differently and know that this actually okay for my skin then please let me know so I can go grab another tube. 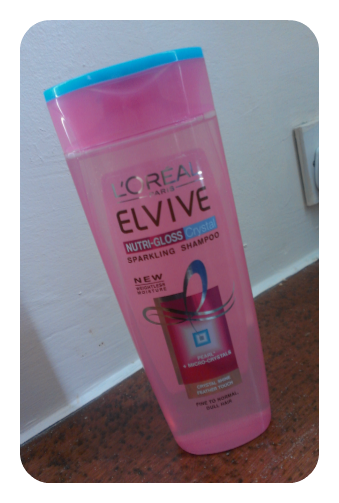 The L'Oreal Elvive Nutri-Gloss Crystal Sparkling Shampoo is a shampoo aimed at fine to normal hair and claims to give weightless moisture and sparkling shine to the hair. Unfortunately, for me, it doesn't do that but I'll get to why in the following paragraphs. 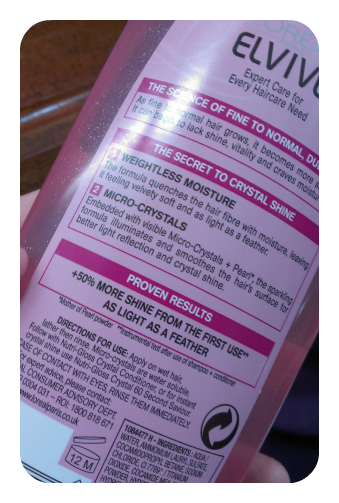 So, the shampoo was created to combat issues like lack of shine and vitality and is lacking moisture. My hair fits all of those, so why not fine to normal, I thought this might work for me. To me this is just a bog standard shampoo. It didn't dry out my hair or strip it to much but it didn't work any magic. 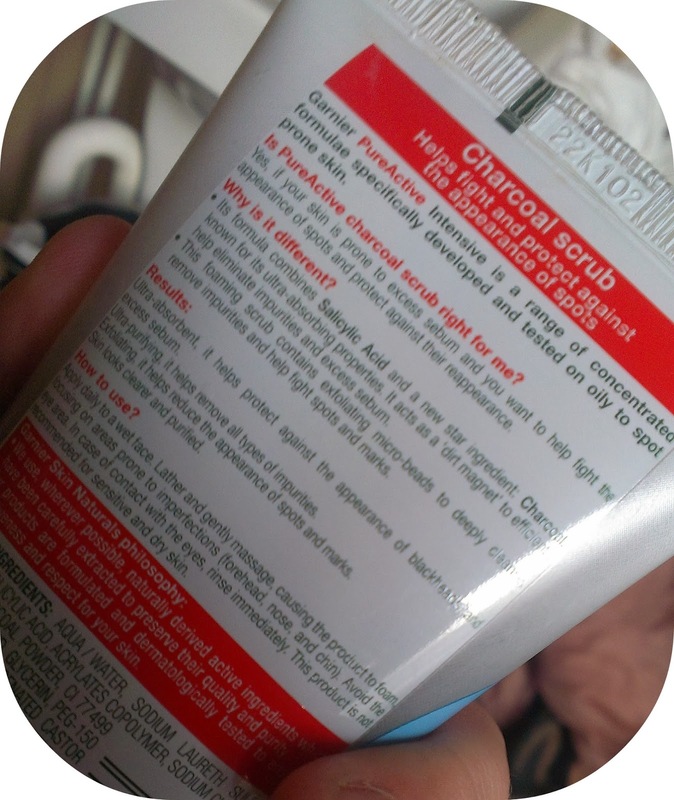 It left my hair feeling clean but it wasn't particularly shiny or moisturized, it didn't help tam frizz and it didn't leave it any less dull than before. There are more products in this range (a condition and 60 second treatment) which might help enhance the shine the shampoo is meant to give but the shampoo alone is just okay for me. 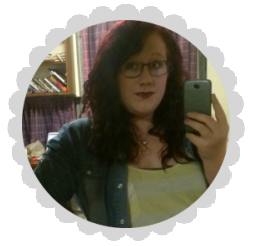 It also might help if you have finer or more normal hair opposed to my thick, coarse, curly hair. You can pick it up here for £3.99 if you fancy giving it a go. 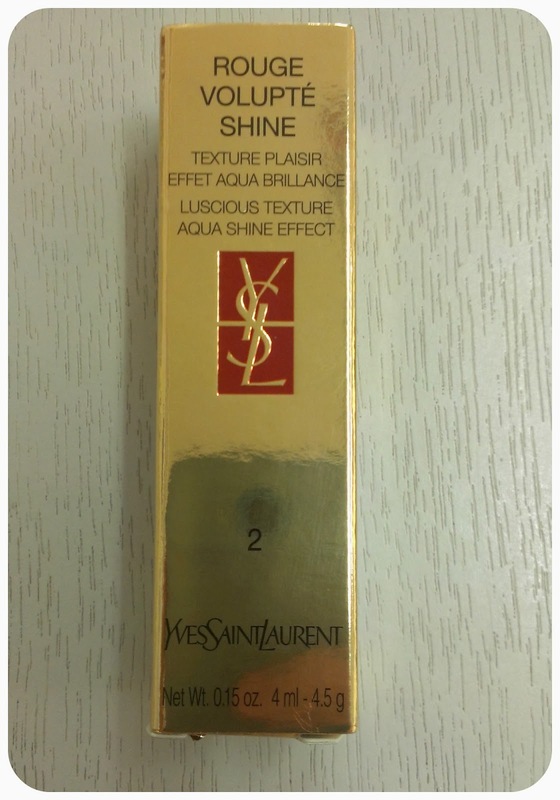 WARNING: Prepare yourself for a post FULL of raving about this product. 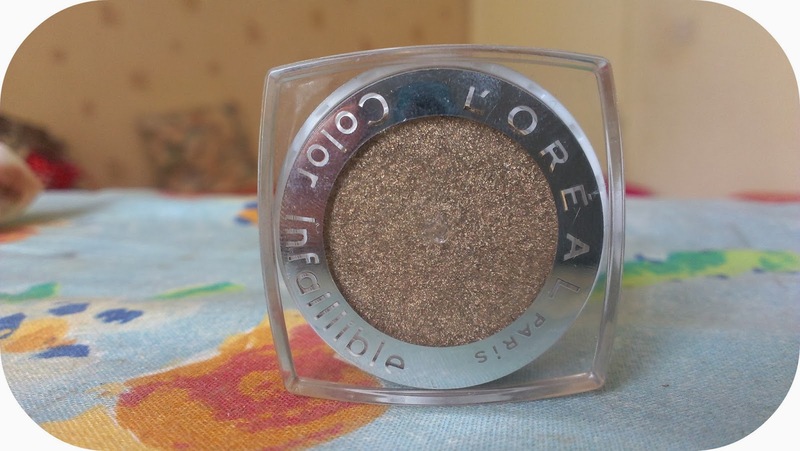 The L'Oreal Colour Infallible Eyeshadow in Sahara Treasure in my favourite single eyeshadow from the drugstore. I would say ever but this comes second to Woodwinked from MAC because that shade is just so unique. 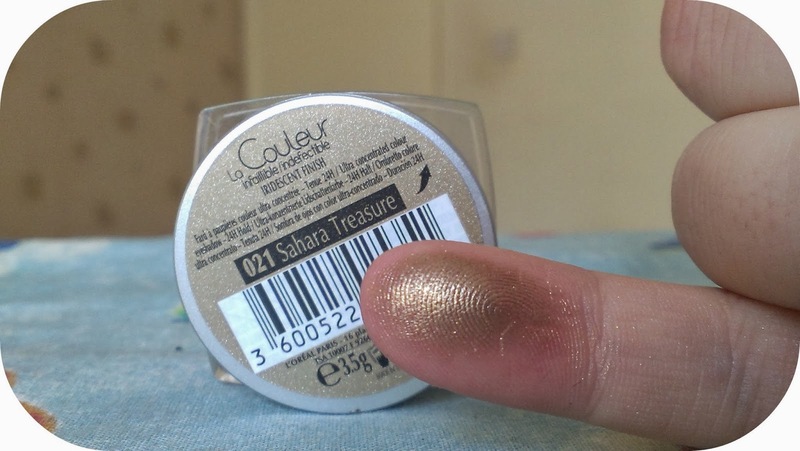 It is a antiqued gold shimmer shade, and is perfect for the quick and easy one shadow look I like to rock on days when I'm just heading out to run errands or am off to uni. 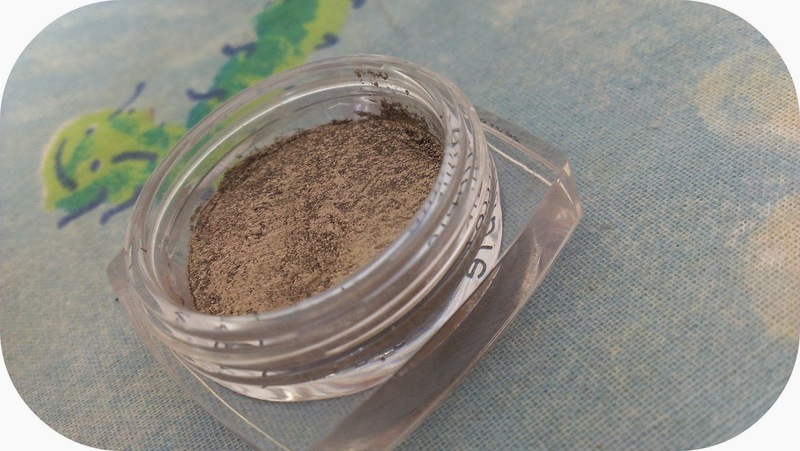 It blends perfectly, and when it is blended it looks like you've put something in crease as well as on the lid because of the multi dimensional tone in the shade. It looses some of the shimmer when blending so it almost appears as if you have something a little more matte running through the socket. I have found that it doesn't crease on my without a primer, and I have found that it lasts all day without fading. You can use this wet or dry. 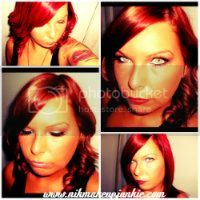 Dry it looks stunning, but wet you get this amazing foiled effect that gives you an even more of a contrasting look between the lid and crease if you blend it to create a one shadow look. The shadow itself is almost a hybrid between a pigment and pressed shadow. It is a pigment, the texture and pigment of something like that, but it is pressed down by the stopped in the tub. And you do need to keep the stopper in or the shadow will crumble if you are a little to rough with it. The packaging is really nice. 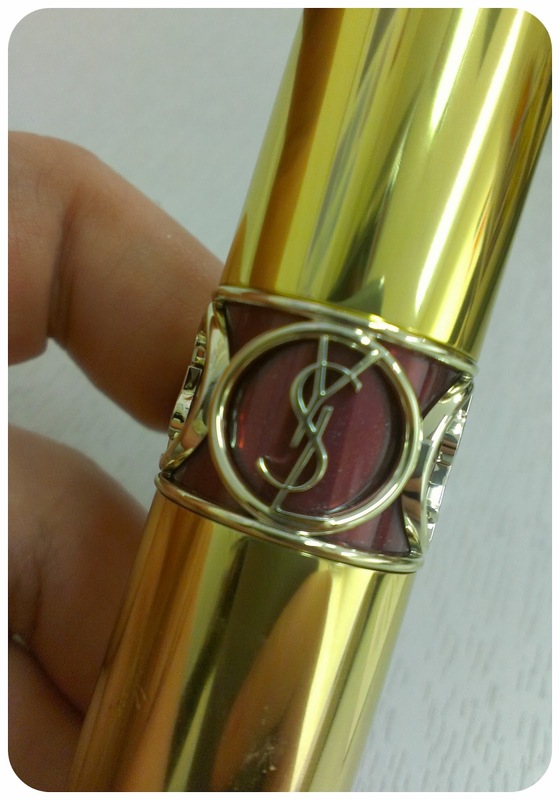 I think it feels more luxurious than it's price, and the quality of the shadow feels like you paid so much more for it. I have a few other shades, and wished they had more. I would buy more shades if they release them. 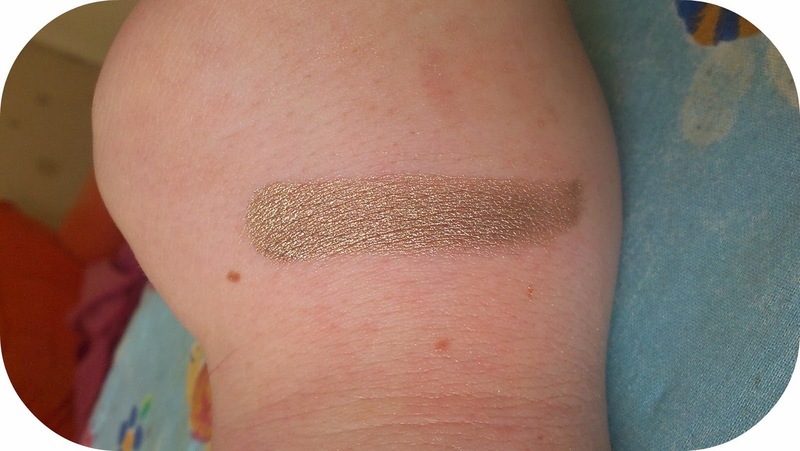 So, overall I ADORE this shadow and it's very close to my all time favourite shadow EVER. 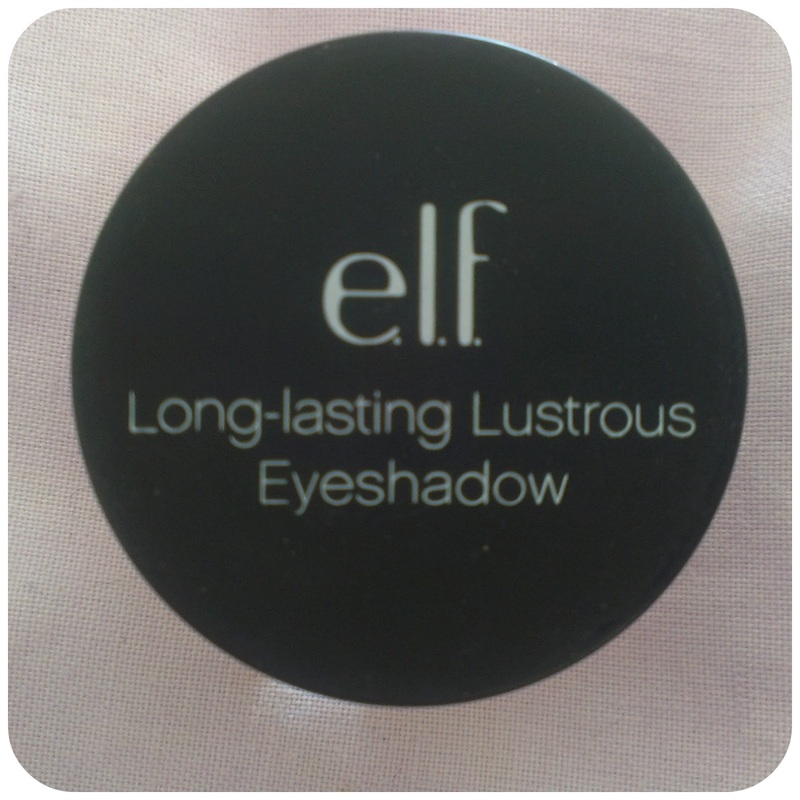 I highly recommend getting this, or other shades of this range, because you won't regret it. 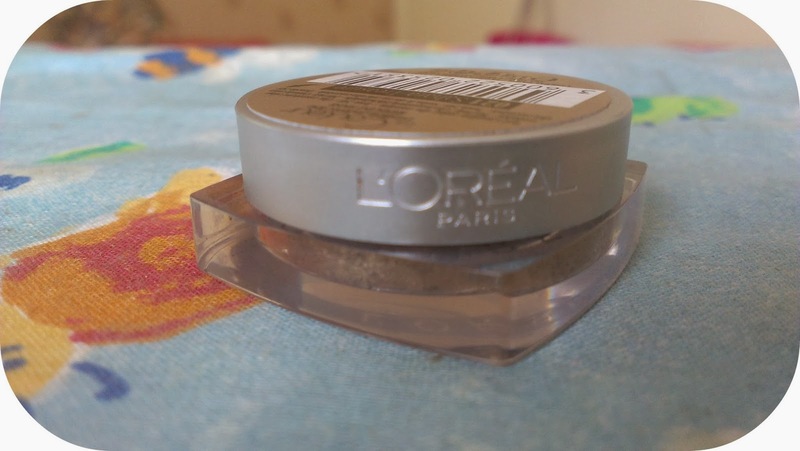 They are £6.99 from every where that stocks L'Oreal or here online but you can always find L'oreal on offer some where so it should work out cheaper for you too. I've heard people rave and rave about these the ELF Long Lasting Lustrous Eyeshadows, and I'm sure someone said they were a dupe for something from a brand like Armarni or maybe even Chanel but personally I'm not a huge fan. I did prefer the darker shade I picked up but both of the shades I got seemed a little to sheer, to patchy and just not what I expected. Confetti if a white shade full of white/silver shimmer. 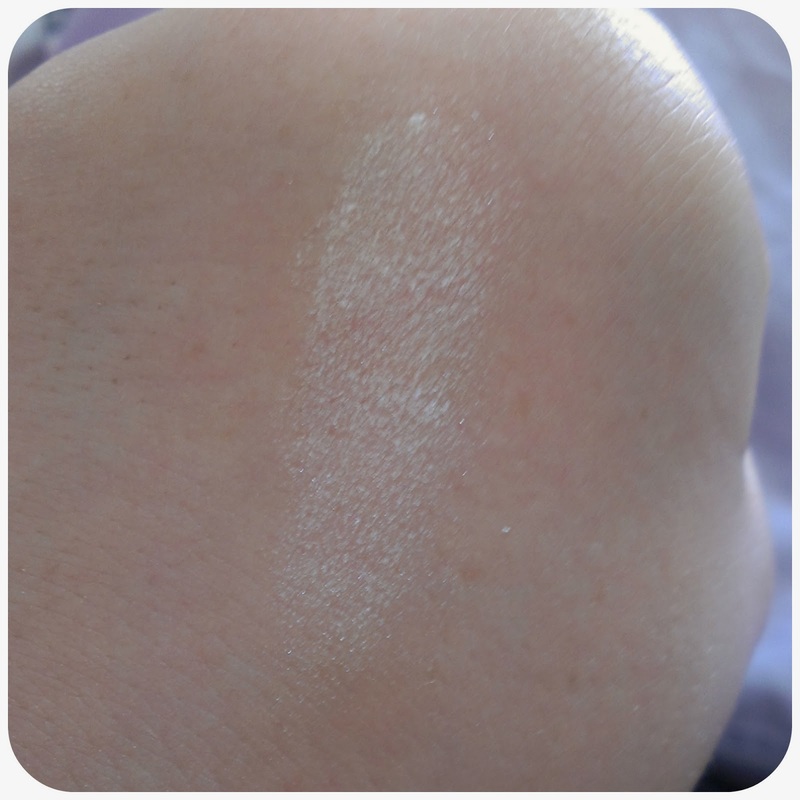 When the shadow is swatched it seems a little white but is mostly just shimmer but on the eye it is even more sheer and would be something I would only use as a 'top coat' for my shadow. For some people that might be great, but if I want a shimmery shadow I would just use a shimmery shadow and that extra stuff is just a step I don't need to add to an already long routine. The packaging is nice but you can tell it's from a cheaper brand. The plastic lid screws onto the plastic base, but it doesn't feel like it's air tight. That isn't great because the mousse like product can dry out even quicker than normal. Like I said, I've heard people rave about these, but I just don't get on with them. So, I won't be picking up any more and these ones will probably be passed on to my mum to see if she can get any use out of them. These are £3.75 here on eyeslipsface.co.uk if you want to try them or see the other shades they have. Hopefully the next review will be something a bit better, but I like to add some not so great reviews here on my blog so that people know what not to buy as well as what to try out.